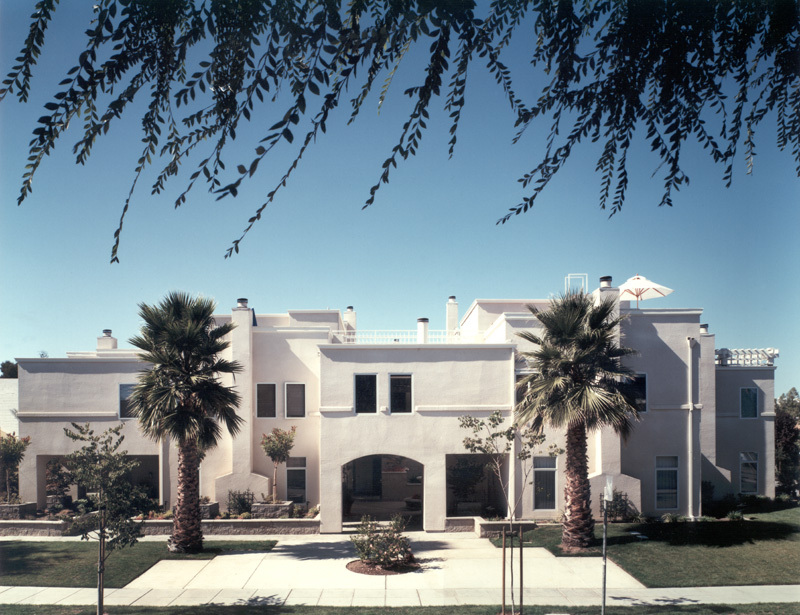 The Homer/Ramona Housing Project is a multi-family condominium near the central business district in downtown Palo Alto. On the corner site of 14,895 square feet are nine residential units and 19 spaces for automobile parking. The overall density of 40 units per acre is comprised of one 3-bedroom unit and eight 2-bedroom units.